Medline basic irrigation tray with 60cc piston syringe. 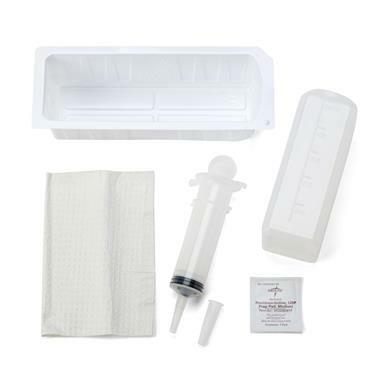 Contains 60cc piston syringe, 1200ml tray, drape, and alcohol prep pad. Sterile packaging. Sold individually, available in cartons of 20 trays.